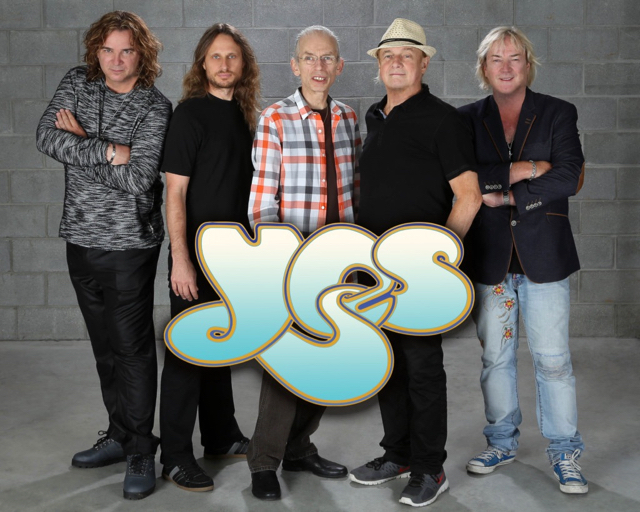 Yes have announced the first series of dates for a 50th anniversary tour. The 2018 trek will open in Bristol, UK on March 13 as part of a 10-show UK run before the band heads to Europe for more performances. The tour will see the group – guitarist Steve Howe, drummer Alan White, keyboardist Geoff Downes, singer Jon Davison and bassist Billy Sherwood – feature not only many of the band’s classic hits, but performances of Sides 1 and 4 and an excerpt from Side 3 of their 1973 album, “Tales From Topographic Oceans”, which was the outfit’s first album to top the UK Album Charts. "Reflecting on the past 46 years that I've devoted my life to playing Yes music, it's been an interesting journey and a true labor of love,” adds White. “I've always believed in the power of music and the band's recent induction to the Rock & Roll Hall of Fame and our Grammy (awarded in 1985) are testament to the longevity of influence our music has had through the years. Tickets for the first series of shows will go on sale on September 8 from 10am via Bookings Direct, the venue box offices and via the ticket hotline: 0844 249 2222. Front row, Meet & Greet and VIP packages are available from Yesworld. More European dates will be announced soon. While Yes faced several personnel changes through the years, Squire was the only member to appear on each of their 21 studio albums; he passed away in 2015 at the age of 67 from Acute Erythroid Leukemia (AEL).